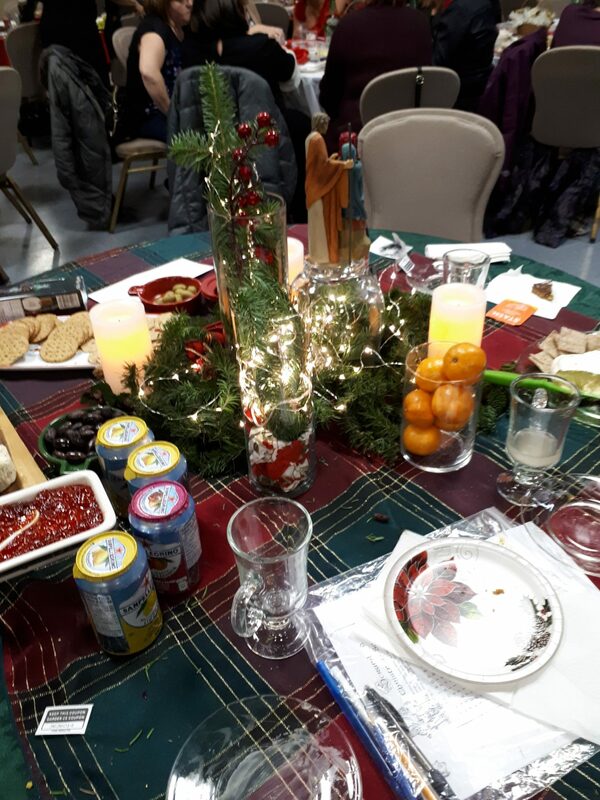 The 4th Annual Women’s Christmas Gala was held on November 30 at Blessed Sacrament Church hall As in previous years, women were invited to host a table of their friends, providing table decorations and light snacks for their guests and a dessert for the entire group to sample. The cost to participants; just $20. This evening offers a wonderful opportunity to get together with friends and catch up before the busy Christmas season. 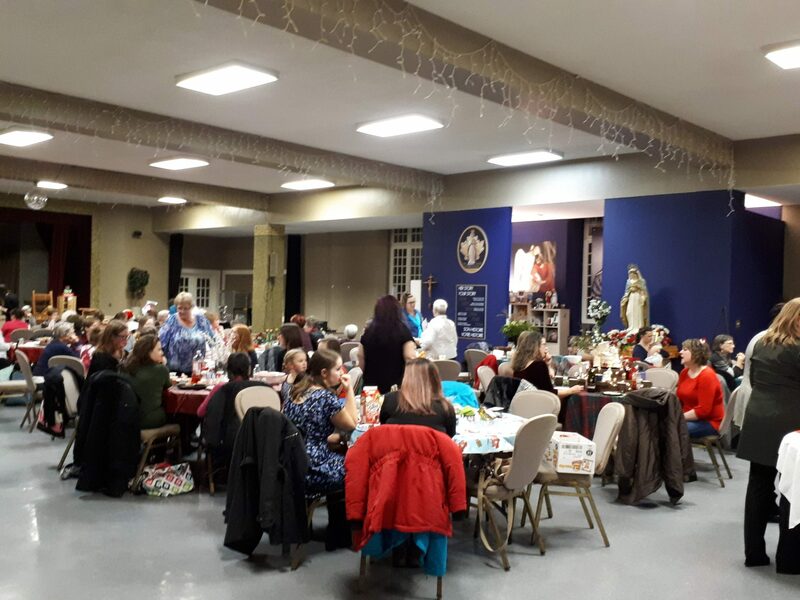 The evening included a silent auction, raffle, door prizes and a few vendors offering an opportunity to begin or complete Christmas shopping! Participants included past and present farm residents, host families, volunteers and Waupoos supporters as well as some new friends. The McCann family led the group in some Christmas carols! Thanks to everyone’s efforts and participation, nearly $3000 was raised to support Waupoos Farm!. Our sincere thanks to Melina and friends who worked to organize the gala and Lori and Patsy who worked all evening selling tickets and helping with silent auction closing.